Mumbai is a city located on the west coast of India, in the state of Maharashtra. It is densely populated as it is one of the major cosmopolitan city in the nation. One can visit gateway of India, Elephant Caves, Marine lines, Juhu Beach and much more. The city is the fashion, entertainment and commercial centre of India. It is also called as the financial capital of India. Mumbai is also known as the fast-paced city, a city that never sleeps. You will see hardworking people working around the clock to fulfil their dreams. To provide such demanding scenarios and needs, the process of a cash loan is getting popular. For a fast city like Mumbai, the loan process required is faster too. 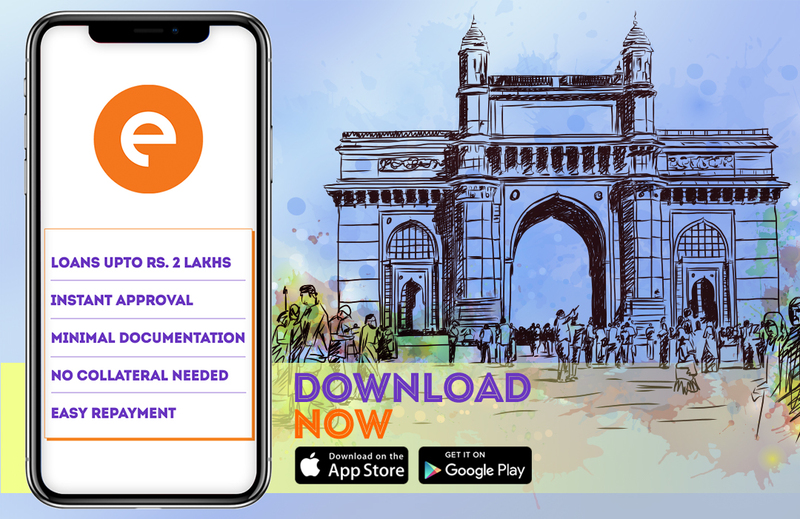 One can now apply for an app only loans in Mumbai. A personal loan has gained popularity due to its cashless process. No physical documents are required to apply for such loans. You can be anywhere doing your work and apply for a cash loan. The application process is quite simple. The loan can get approved on the same day as the application. The loan amount gets disbursed quickly in your personal savings account. As this is an unsecured personal loan, no asset showcase is required. The process is entirely private and you don’t have to involve anyone. To avail a loan you have to be between 23 years to 58 years old. You can start by downloading the personal loan app on your smartphone. There are various apps like CASHe,which are available on the Apple app store and Google play store. Register yourself on the cash loan app with the help of your social media account and complete your profile with your basic contact information. Once the registration is complete, you can enter your desired personal loan amount. You can get a loan ranging from ₹10,000 to ₹1 to ₹2 lakhs on the app only loans. The duration of the loan can be 15, 30 or 90 days. Depending on your loan amount you can set your duration. The next step is to submit the required valid documents to the cash loan app. The documents include identity proof, address proof, bank statements with your salary credited, and your photograph and income proof. You can submit your passport, aadhar card, pan card, utility bills, bank statement and last 3 to 6 months’ salary slips. Your employer should have a registered company. All the documents can be uploaded via your smartphone itself. The app takes some time to review your request and then approve or disapprove your loan. The interest rates offered are very low on the app-only loans. That’s why people use this facility frequently for various reasons such as medical emergencies, home or vehicle repair expenses, family vacation, and educational fees, for buying a new phone or a car or to buy any other large asset. People also apply for an instant personal loan for balance transfer and debt consolidation.